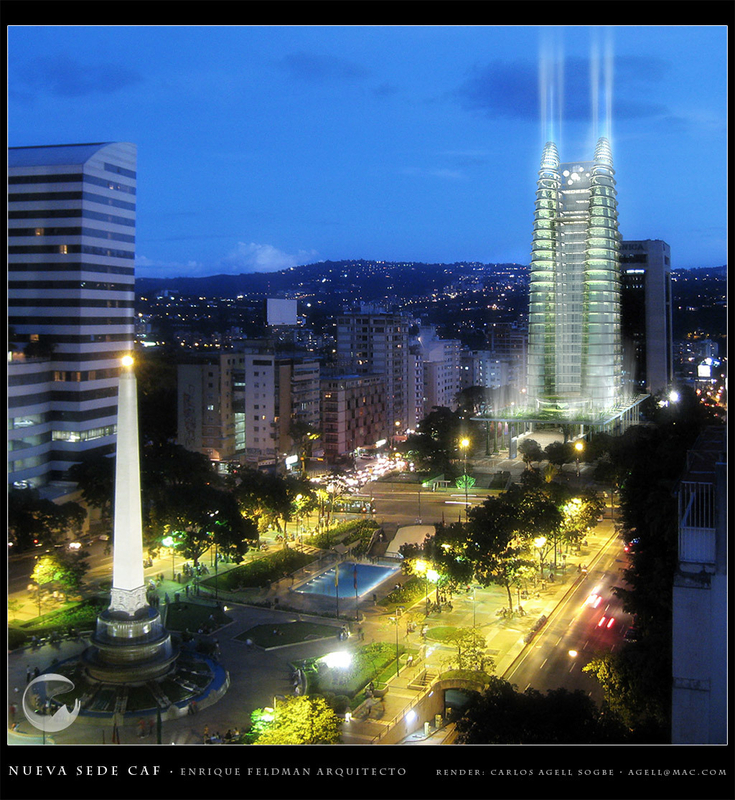 Hello, this is my last project, a rendering for the proposal for the new CAF ( Corporacion Andina de Fomento ) Building at Caracas International contest, Designed by the Venezuelan Architect Enrique Feldman. Modeled entirely in Cinema 4D rendered using Vray for C4D, and some color correction using Photoshop CS3. I hope you like it.